I’m back! And it’s good to be back, although I must say I’m missing the BIG T in a very BIG way already. 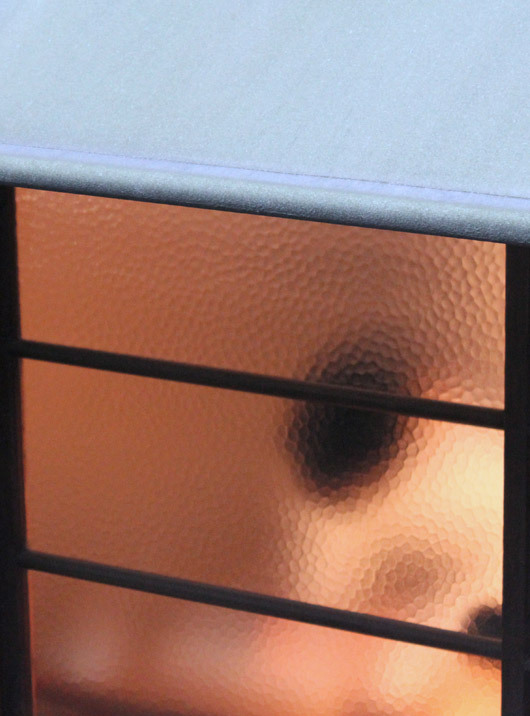 When I left Sydney for Tokyo, I didn’t plan to blog about my travels in depth, but once I arrived I realised I should at the very least, share with you the paper shops I visited. If you read my blog you must love paper and if you love paper, I’m pretty sure you will enjoy what I’m about to share with you. 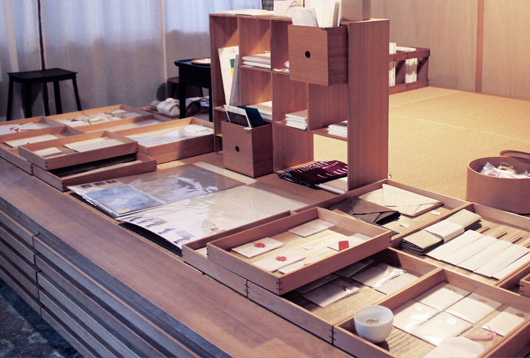 Consider this series of posts, your little insiders guide to the best paper shops in Tokyo brought to you by one paper obsessed individual, on a mission to uncover the best this city has to offer one sheet, oops sorry, shop at a time. This is the first of many posts about paper places I visited in Tokyo and I’m starting with my absolute favourite shop EVER called Shop Samakatado. Now this was not an easy shop to find. 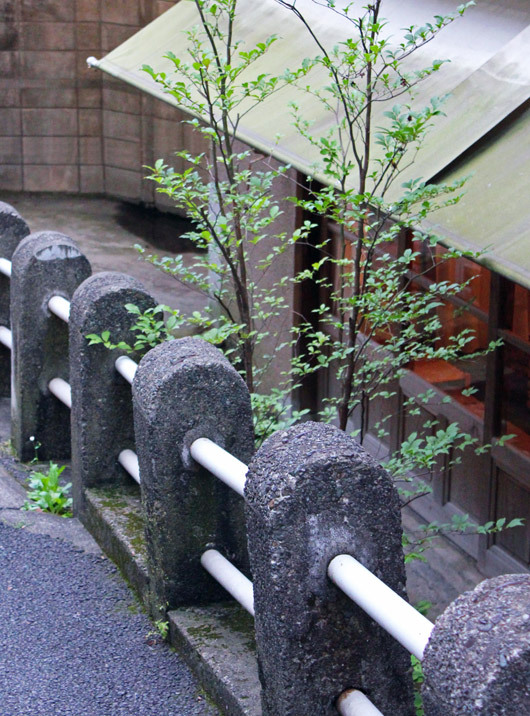 It’s tucked away in the backstreets of Minami-Aoyama and I’ll admit I walked past it three times before realising, well, that I had just walked past it three times! So I took the photo above to show you the street entrance you should look out for. When you see this, you’ll know you’ve found it. Just head down the slopped path and turn right and then brace yourself to experience true paper enlightenment. 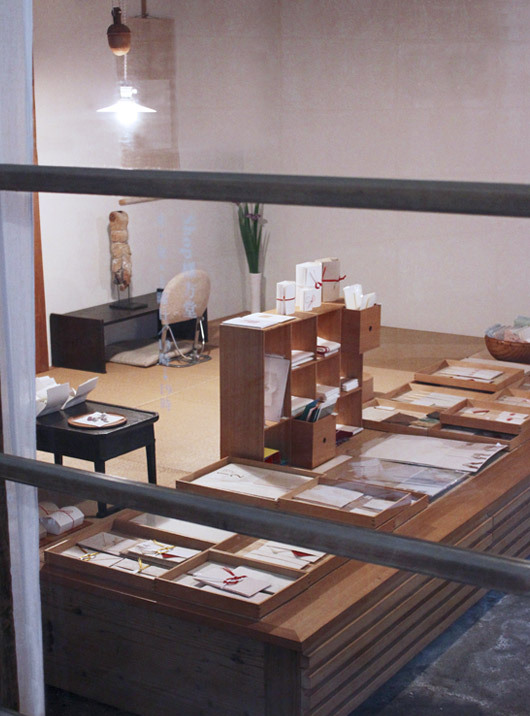 Shop Samakatado is the retail part of the Origata Design Institute. I blogged about the Institute back in March so if you would like some background information before reading on, just click here. Stepping into Shop Samakatado, for me was a moment I’ll always remember. There to greet us (Matt and I) was Masami (pictured above) and a room filled with the most beautiful collection of folded paper I had ever seen. I was in heaven instantly and on the verge of asking if I could stay the night. Just on that bench by the window would be fine thanks! There was something very warm and inviting about this place. As I began to look around, I recognised many of the items I had blogged about earlier this year were on display alongside other items I had never seen before. Perfect and precise folds were everywhere, ooooo if only I could have brought one of everything back home with me! Shop Samakatado caters for occasions such as weddings and other events where small, beautifully packaged gifts are required for offering to guests. There were so many unique and perfectly presented options on display, I think I’d have real trouble choosing just one. Here, gift wrapping is as important and symbolic as the gift itself. This is a place where folds come with meaning and it’s important when choosing your gift that its wrapping conveys the right message and emotion. Exploring this carefully considered art in more depth is possible with one of the many courses on offer at the Origata Design Institute. Ranging from a beginners basic course to a more advanced folding course, the only obstacle you may find is in the translation. The classes are in Japanese only but with just 8-10 students per class, I think with enough enthusiasm and desire, one could simply watch and learn without too much difficulty. Hehe… I should point out right now that I’m famous for famous last words! 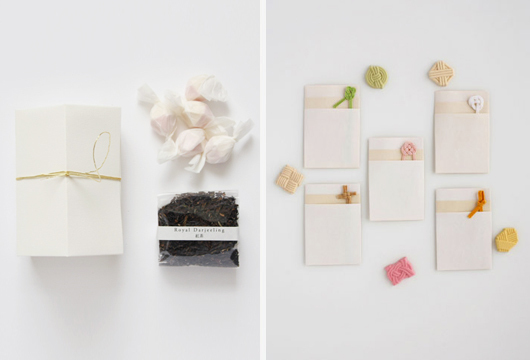 The Origata Design Institute works closely with other artisan establishments around Japan to produce new packaging designs and limited edition works for sale. One of these places, I will introduce to you a bit later on. The institute also holds exhibitions to showcase new works, produce books and other small publications, run workshops and engage in ongoing research into the origins of Origata and how and why it came to be. This is an example of true dedication to the art of paper folding folks. I was just so happy to be amongst it, soaking it all up for that moment I was in the store and talking with Masami. 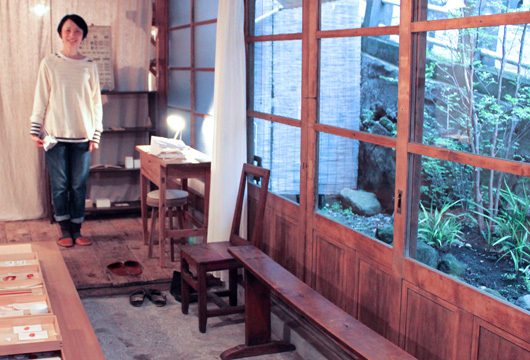 As we left, I looked back at the shop one more time and saw that Masami had resumed folding at her desk. 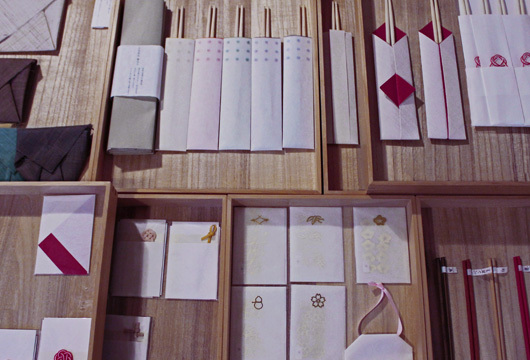 I had to take a photograph (I hope you don’t mind Masami) It was just a nice way to end a magical visit to a perfect little paper shop I’d been admiring for years. Next I’ll show you all the beautiful things I brought back with me from my visit to Shop Samakatado. Thank you Masami for allowing me to take some quick snaps and for being so warm and welcoming too.